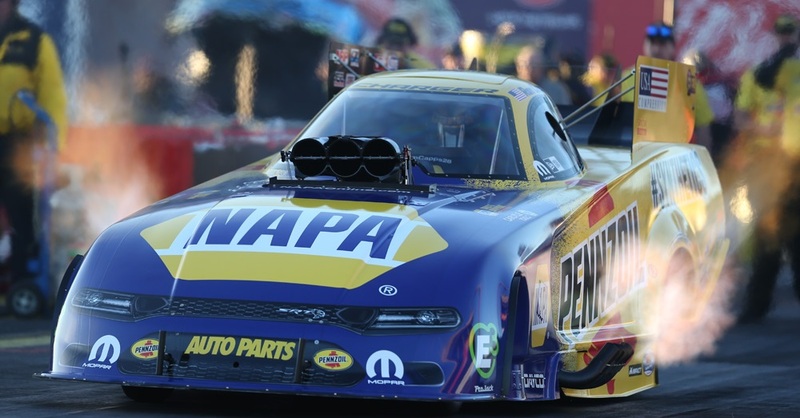 Ron Capps and the NAPA AUTO PARTS Dodge Charger R/T Funny Car team maintained a big lead in NHRA Mello Yello Drag Racing Series championship points despite losing in the first round Sunday at Sonoma Raceway near San Francisco. 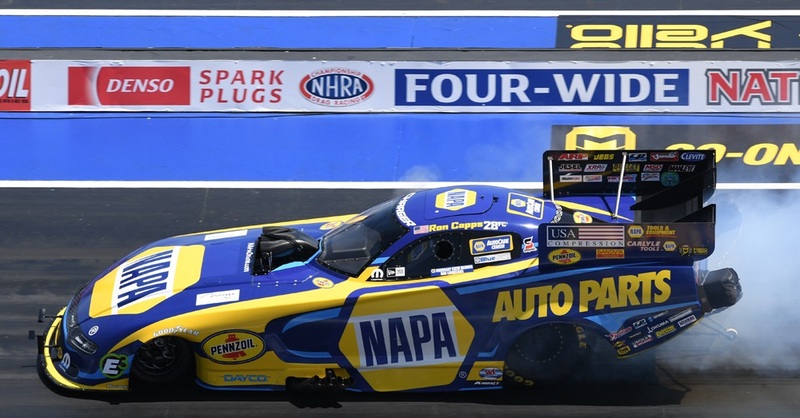 For the first time since early June 2015, reigning Funny Car world champion and current points leader Capps and team were eliminated in the first round of competition Sunday in the NHRA Sonoma Nationals after a similar early exit the previous Sunday near Denver. 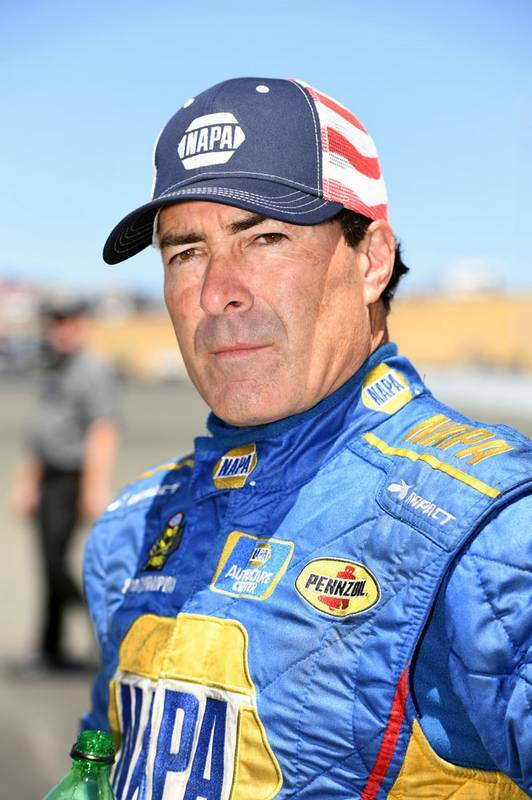 Capps and the team led by crew chief Rahn Tobler and assistant Eric Lane with the NAPA AutoCare Centers crew will head for Seattle this week for the last event of the three-week Western Swing with a nearly insurmountable 183-point lead in the standings with three events remaining before the field of 10 drivers is finalized for the six-race Countdown to the Championship playoff. 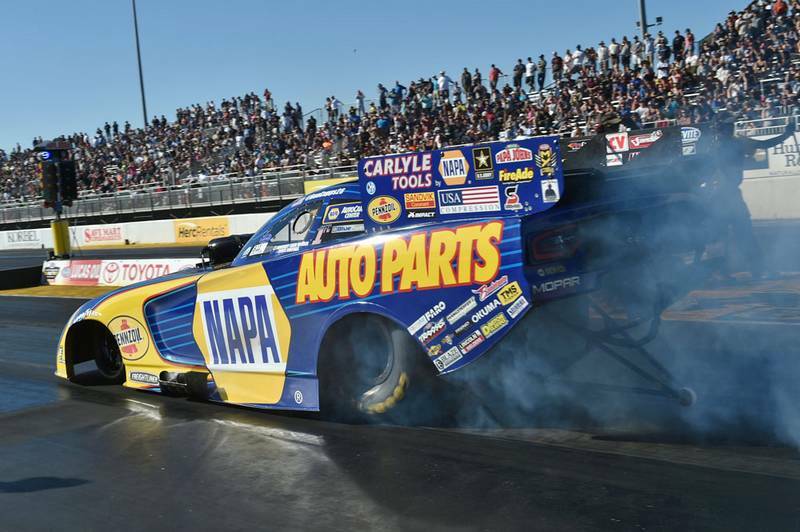 The NAPA team had its worst qualifying performance of the season at Sonoma and was seeded No. 12 for eliminations. 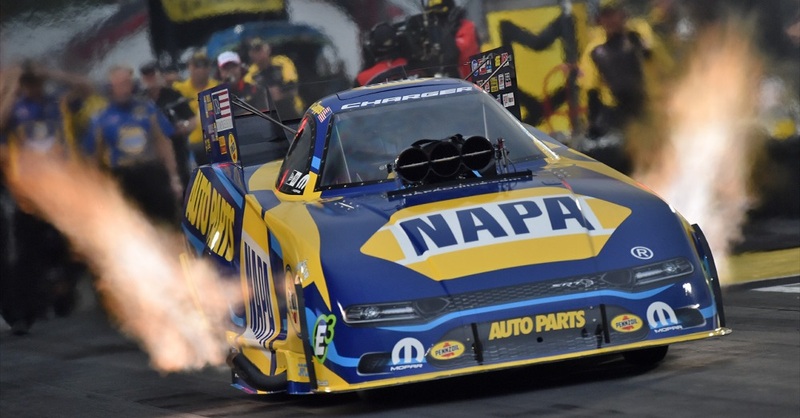 His best run of the weekend was in the first round when his time of 3.941 seconds at 328.86 mph was quick enough to win three other matchups but it wasn’t enough to beat Don Schumacher Racing teammate Tommy Johnson Jr.’s 3.905 (332.02). 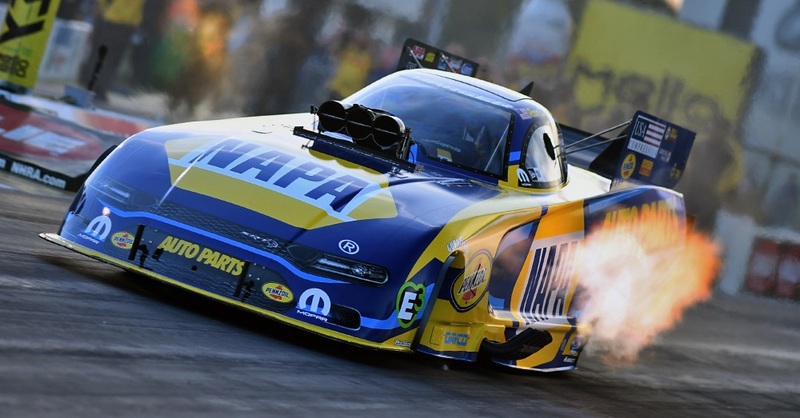 Start / Finish: Qualified No. 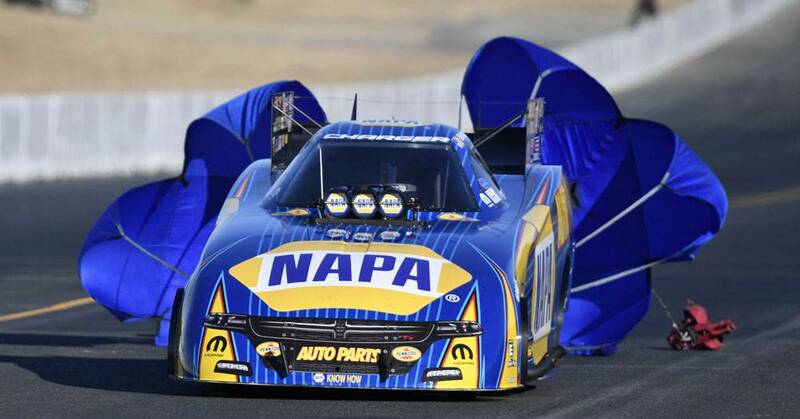 12 / Lost in first round to DSR teammate Tommy Johnson Jr.